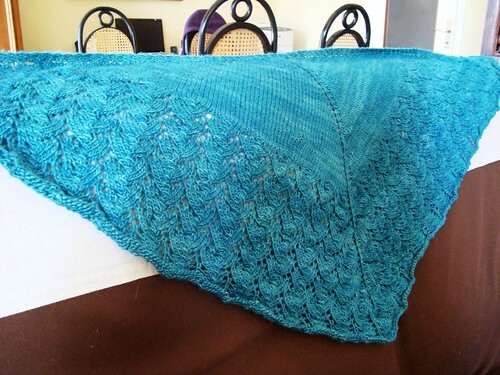 Posted in finished object, Knitting, shawl	by Giulia P.
Here are the long awaited pictures of my finished Ishbel! I still have to block it, I’m so lazy with such stuff.. I just can’t be bothered! 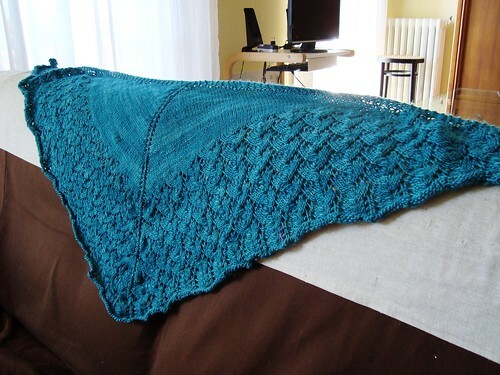 lol I will do my best to do that before my holiday is over though, since the shawl has been finished since february already and it’s been sitting around for MONTHS now! Shame on me! 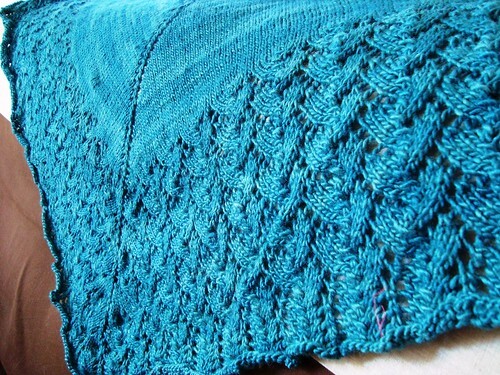 « Pattern of the week: thinking of… twisted edge shawlette!